37057 was delivered as D6757 from English Electric Vulcan Foundry on 5th October 1962, and first allocated to 51L Thornaby. Renumbered to 37057 in November 1974. Stored in December 2004. Transferred to Barrow Hill and allocated to Harry Needle Rail Ltd in November 2007. 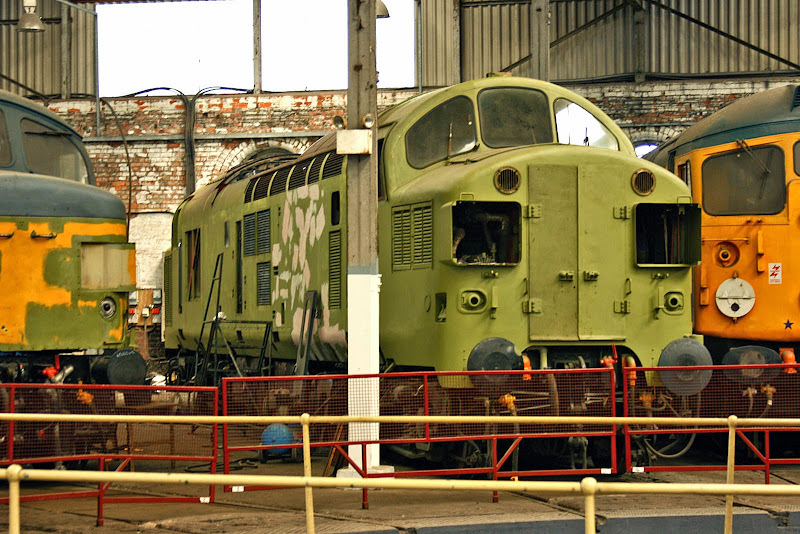 Shamefully, I didn't manage to ever see this one until a January 2010 visit to Barrow Hill. Unfortunately 37057 failed on Saturday 9th, believed related to the main generator, and is subsequently being moved back to Barrow Hill for attention. 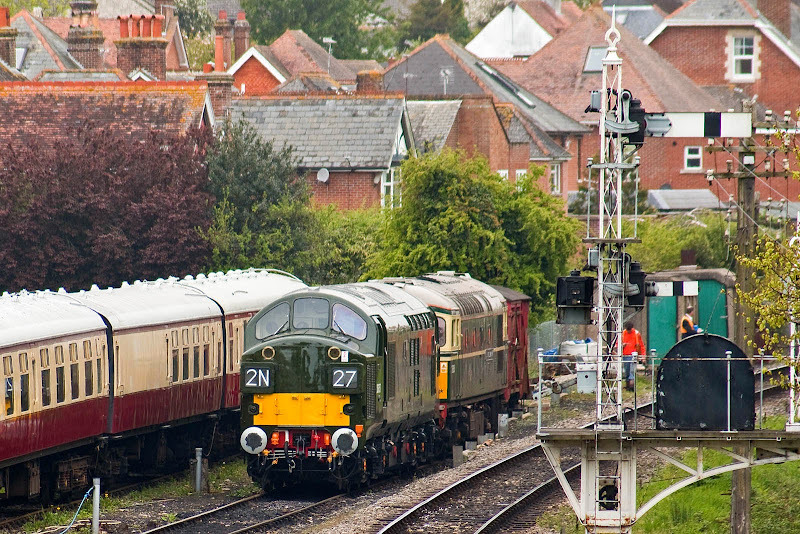 D6757 in the naughty siding at Swanage, along with 33012. More coverage of the locomotive at Swanage. 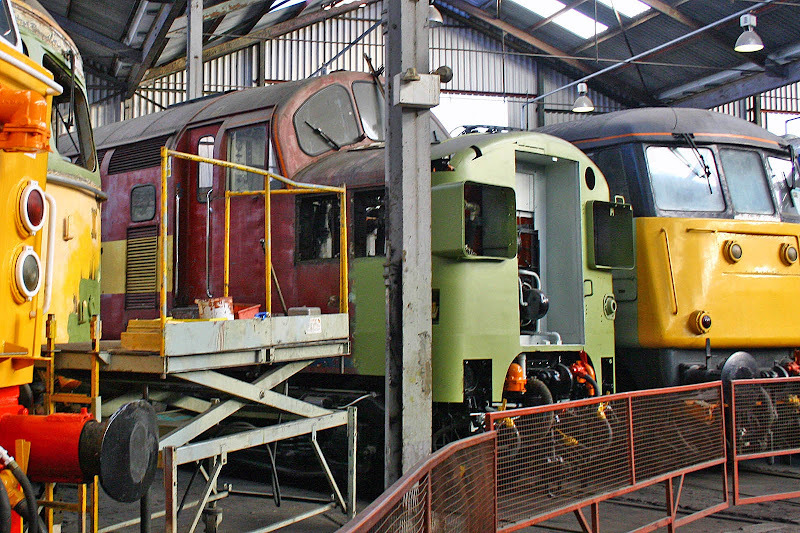 Under restoration at Barrow Hill, 30th January 2010.